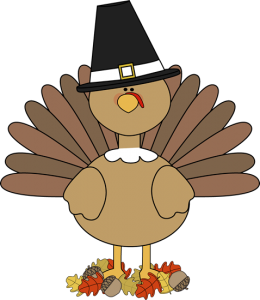 The first Thanksgiving was celebrated in 1621 to commemorate a bountiful harvest in the Plymouth Colony. Americans have kept that tradition alive throughout the years, gathering with friends and family on the fourth Thursday of November to eat, drink, watch football, and of course, stay up all night to get the best deals on holiday shopping. While the meaning behind this holiday has remained the same over the years- to celebrate the things we have to be thankful for- the Colonists and Native Americans did not encounter two issues that Thanksgiving and the holiday season bring us today- an increase in traffic and an increase in drinking and driving. According to AAA, this turkey day is going to be a busy one for travel. More than 43 million Americans will travel at least 50 miles over the Thanksgiving holiday period and 90% of travelers will be driving to their Thanksgiving destination. That means congested highways, frustrated drivers, and vigilant law enforcement. • Considering traveling on a less busy travel day-the Wednesday before and the Sunday after Thanksgiving are the two worst. • Don’t give into the temptation to speed. It won’t get you there much faster and it can lead to a ticket or worse, a collision. • Wear your seat belt: Police will also be looking for seat belt violators and wearing your seat belt during an accident may mean the difference between life and death. • Don’t text and drive. Taking your eyes off the road for just a second or two can have tragic consequences. • Understand that traffic will be heavy and don’t let your frustrations tempt you to take chances. Keep your family’s safety your number one priority. The night before Thanksgiving is also one of the busiest bar nights of the year, combined with the high number of travelers on the road, can have tragic consequences. This may be why Thanksgiving has the most drunk driving related fatalities of any other holiday. Law enforcement will be on high alert, in an effort to keep citizens safe. Don’t put yourself at risk of getting a DUI/DWI or worse, harming yourself or others in an alcohol related accident. Go ahead and stuff yourself with turkey and pumpkin pie, have a few drinks and be merry. But please, take your time in the holiday traffic and if you drink, don’t drive- take a cab or have a designated driver. Remember, if you do receive a traffic ticket, get into a fender bender, serious accident, or receive a DUI/DWI this holiday season, call us at (910) 793-9000 (910) 793-9000. Stay safe Wilmington!